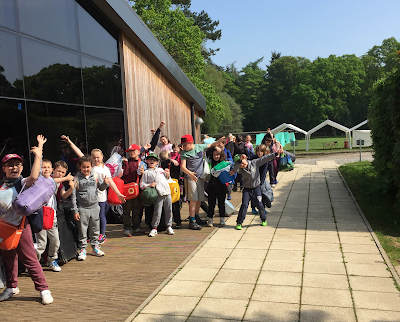 Arriving at the Centenary Lodge. 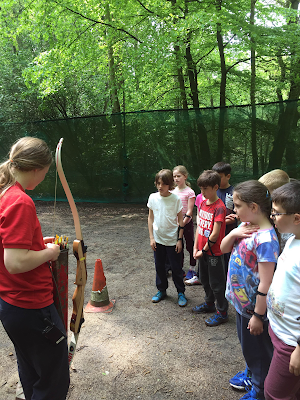 Getting ready to try some archery. Safety gear on and ready to ascend the climbing wall!